is this the same guy with tha website destiny's child? that was a nice website..
despite you warning me that this would be a boring post, di, i did not find it boring!!! i dono if thats coz i dont find philosophy boring or because ur writin wasn boring. but im sure not an avid reader who can read anything!! I believe in destiny and i guess its the human nature which needs to carry on its journey with a hope to achieve it...n hope is a byproduct of belief in destiny! Your thoughts on Birth,Marriage and Death is a very Hinduism specific philosophy. 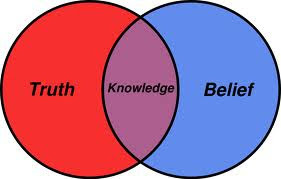 The truth of the matter is - there is no single source of truth about life or beliefs. Truth is dynamic and as they say comes with protective layers. You know what you are taught. That is your belief system. For example - for an islamic terrorist killing himself in the name of God is the ultimate truth. For the hindu right wing, Ram Rajya is the ultimate truth. Therefore we ve got to realize that there is nothing called the ultimate truth it is just the existential truth for a limited period of time...and in most cases that is a manufactured mass consent. I whole heartedly agree to the first part of the post. Even i indulge in such reminiscent conversations each and every time i meet old friends. About chatting away to glory while others were busy cramming just b4 d exams, cursing those frustrating moments and people.. Etc.etc. Its only now that we realise that even after all those frustrating times, life's been good.. All thanks 2 there wonderful people called friends.. Could this be destiny. I still have 2 read the second half of the post. The longer part so to say. But had to add this comment. And many things cannot be achieved until and unless one makes efforts! @ Shrikant, ye wapas aaya 15th ko..lekin he is again going out of town next week..mindless discussions with friends make the relationship so beautiful right? I believe in destiny up to a certain point but it can only take you there half way, The other half you need to go yourself. I have often marvelled at those who predict future by reading kundalis or palms. They do manage to predict your future in many ways. A lot things have come true for me, even though I didn't quite believe it then. So yes, destiny has a huge role to play. And on the other hand, some things never happen...? So it there is nothing that is 100% certain in life apart from birth and death...no sure about marriage...many remain unmarried. Reading "The Secret" are we, or have read it before? I do not emphasize a lot on destiny personally, but belief, I 'believe', plays a major role. Though, I did not understand the Venn Diagram. Care to explain? 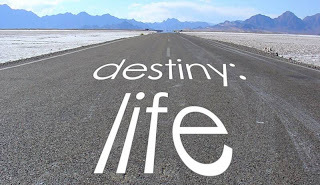 I am a firm believer in destiny and I have faced situations which justify that irrespective of one's plans and planing, it is the destiny which leads the path.You will be surprised that circumstances change in a way that take you towards the destined goal.That is no justification for one not putting in efforts,but respect God's will and accept destiny. To give you an example,recently I wrote about my sister-in-law's death and it was only that day day she moved into a new house in the evening, and after dinner, it was all over.She was not destined to stay in that house.May be I have been able to put my point across. the truth of life is that Death is fix for everyone and if any gunda fires you on using AK 47 no one can save you. Nice to a philosophical side of you. Well, Fate and destiny are two different things. Fate is a choice given to you, to choose your destiny. For example, You aspired to be a lawyer and thats your destiny. But am sure fate has thrown lot of challenges and choices in between. Its what you chose, made your destiny. And of course that choosing comes from your belief and courage! U broke it down into very simple, related and easy to understand parts... The line where u mentioned "destiny is like God. It is there if you believe in it and it is not there if you don't." So true...I too discuss these topics sometimes with ppl who have views opposite to me (I am a believer..!!) and still I manage to support my points and they can also go on debating or discussing...!! Nothing is absolotely right or wrong... In the end, its all a matter of belief truly...!! I'll just tell u abt an incident tht happened today. I had a frnd for arnd 2 yrs wen I went to some classes.We travelled by the same bus route too during tht time. Now tht class is ovr and we hardly meet but sometimes all of a sudden, when I come from somewhere and wait for the bus at the stop, I happen to meet him there..!! Today while I was waiting for the bus there alone, I suddenly remembered him for a moment and know wat..??? after abt 5 mins, he was standing in front of me... n then it struck me.. "Arey I just thought about meeting him..." I told him too tht I just of him a while ago, but he turned it into a joke..!! Doesn't matter, I know I did think..!! I have read at some places that it is more of ur belief than ur destiny that leads to where you are... I guess thats true because we have the POWER TO ATTRACT from the universe.. I think Marriage is more of belief than Destiny...!! Before I go on and on, have u read "THE SECRET."??? I always believed in destiny.. but I never wanted to know what's gonna happen next.. and its impossible too.. If I think back.. every event of the life would have helped in some way or other to be where I am.. These 2 parameters are confused often isnt it? There are set of people who are lazy and leave it to destiny. Which is kinda stupid. And yeah there are few things thats dont work the way you want it to; things which are destined to be that way. However they do happen; or not happen for some reason which I believe is for your good. Belief; yes its a positive approach. Eases you to achieve something you believe in; by giving that strength and confidence. All positive thinking. You told me to read this post if I wanted to sleep. :-P I am not getting any sleep now. What to do? Well.... Very Heavy Topic... 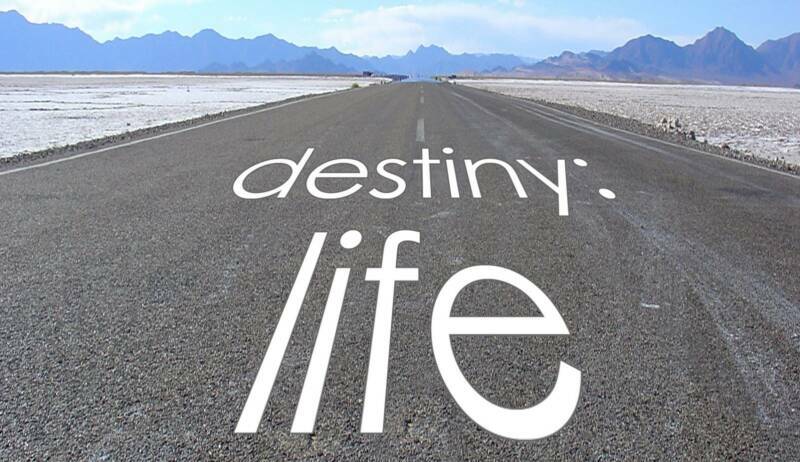 I was not believer of Destiny ones but since incident of last few years of my life, I believe in Destiny very much and It is hard to fight with it. I believe, First Accept what destiny gives and than deal with it in your own limits. My dad has Parkinson now and He had very good health before that so It was shock for all. Plus Parkinson is not curable 100%, at max you can reduce effects by continuous medicines. It is destiny, I can't do anything about that. I am in IT field and Surat is not the place for IT, my hometown. It is also destiny. I can not do anything about this but still I want to take care of my dad, so what I do, I changed my job from Pune to Mumbai and go Surat on every weekend. and It is much relief. My views on destiny are pretty much like yours. Birth and death are beyond us. Marriage too, to an extent. My policy is to take life as it comes. We can definitely write our own destiny but somethings are just beyond us, that is where we need to accept things. Nice thought provoking post Neha :) I loved the way you have linked all these together. I dont believe much in destiny. And agree probably those 3 things are not under our control. but dont you think if we have BELEIF we can change our DESTINY.. Birth and death are not in our hands they can come anytime.. but yeah is we are good and be good ot others or at least try to be one then life can become easier to live. Life thrwos a lot of stuff at us how we deal with it is what makes our destiny, everything has TWO ways the right or the wrong.. But then again those are according to US, I beleive that no decision is WRONG.. its just at that moment or time it was the right decision..
earlier little things hurt me a lot i dont know why, but now as i am growing up they hardly matter because there are bigger problems which take up our time. I dont agree with "If we are destined to get something, we get it no matter whether we deserve it or not. ".. the question is HOW do we know if we were destined to have it or NOT.. just because we think so doesnot make it right.. I do agree that positive thoughts do make a difference ..
and NA interesting post and i did read it all.. and liked it tooo..
another thing that i cant do much at this time he hehehehehehe :) kidding..